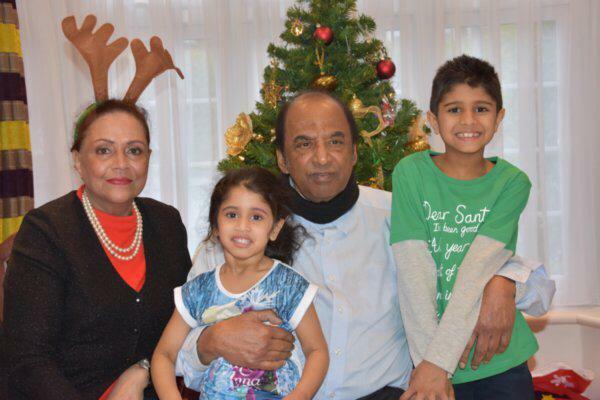 December 22nd 2018: With a deep sense of the greatest loss, we announce the passing of Steve Fernandes in London (ex-Nairobi). Loving husband of Marjorie, son of the late AP and Maria Fernandes. 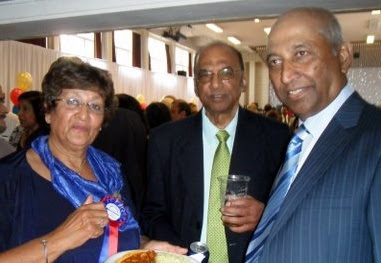 Father to Melvyn, Jennifer (Paul) and Clifford (Meera). Grandad to Dylan, Nikita, Aaron and Leah. 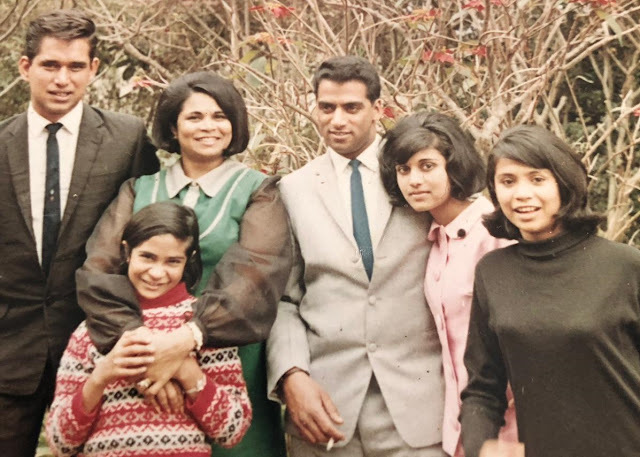 Brother to Thomas (Lydia), Sylvester – Silu – (late Ivy), Raul (Christine), late Leslie (Linda)... lot of cousins, nephews and nieces all around the world. Steve found peace after a courageous four-month battle in hospital. 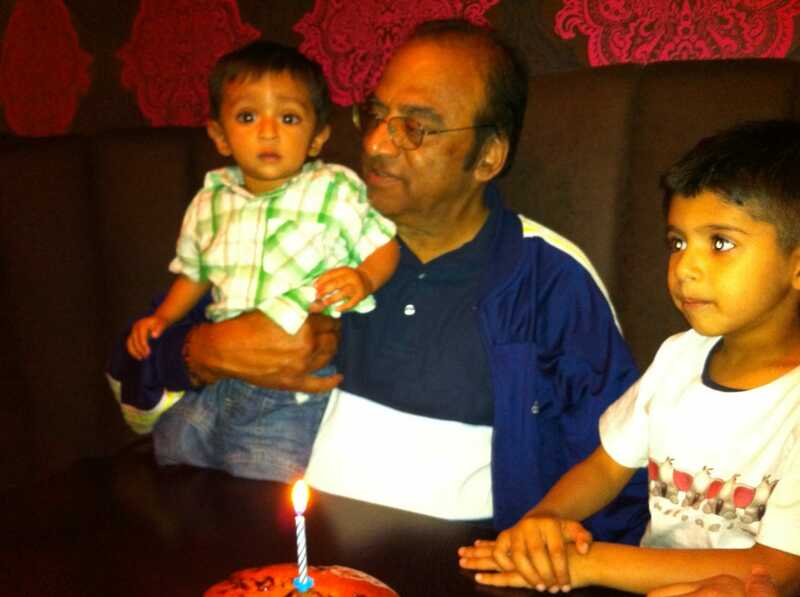 Funeral details will be announced as soon as arrangements are completed. 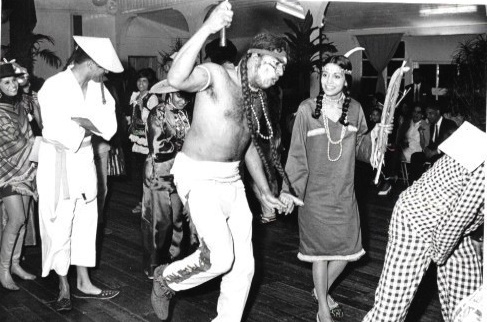 In a way, this photo taken at the Railway Goan Institute Nairobi at a fancy dress gig epitomises Steve (aka Chief Crazy Horse) and Marjorie (his squaw). A very young dashing Steve with Rudi Fernandes (kneeling extreme left), standing: Bosco Baptista, Michael Fernandes, Pio Almeida. It is an understatement to say that my friend Steve, who passed away a couple of days ago in London, loved life … he did, he did … he loved a joke (around the world are sprinkled many victims of his light-hearted pranks), he loved baking his favourite marble cakes, he loved Ladbrokes (the UK betting shops), he loved the chicken at Nando’s (even when he was critically ill in hospital the first thing he asked for was, yes, Nando’s chicken), he loved sports (in the old days when they played the true version which required skill and cunning … hockey. In fact, I think I made him one of the revolving captains of the Hornets team in Nairobi. He loved card games … who will forget the marathons Gilbert Fernandes, the late Tony “Fats” Pereira and the Indian teaching mafia used to hold during Easter time or other long holidays, especially at the magnificent farmhouse which was on the property managed by that fine, fine man, Angelo Costa Bir. Of course, with the cards were an ample supply of alcohol and a variety of curries or barbecued game meat which had been shot by Angelo earlier in the week. He loved to teach and in Nairobi, as headmaster, he took a middle of the road school and turned it into one of the most popular, best-performing schools in the country. 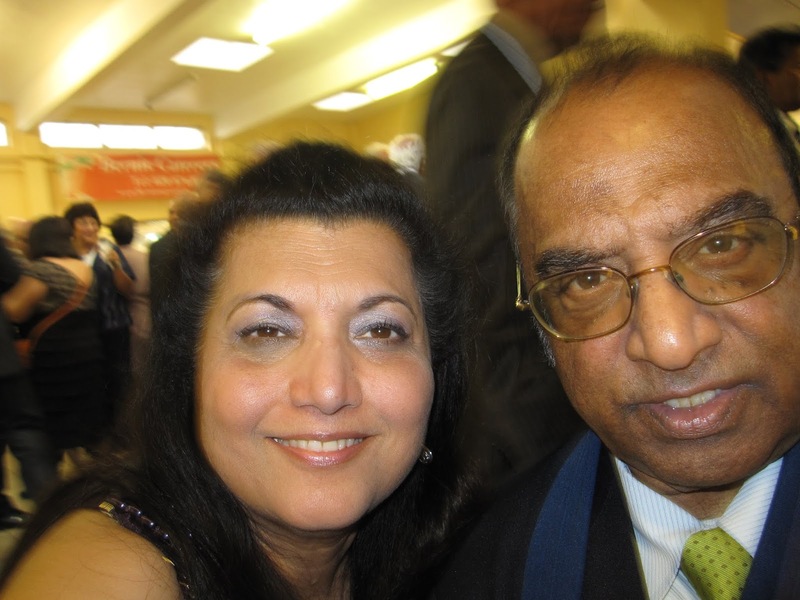 He was an incisive and innovative educator who was always abreast of all new ideas happening overseas. 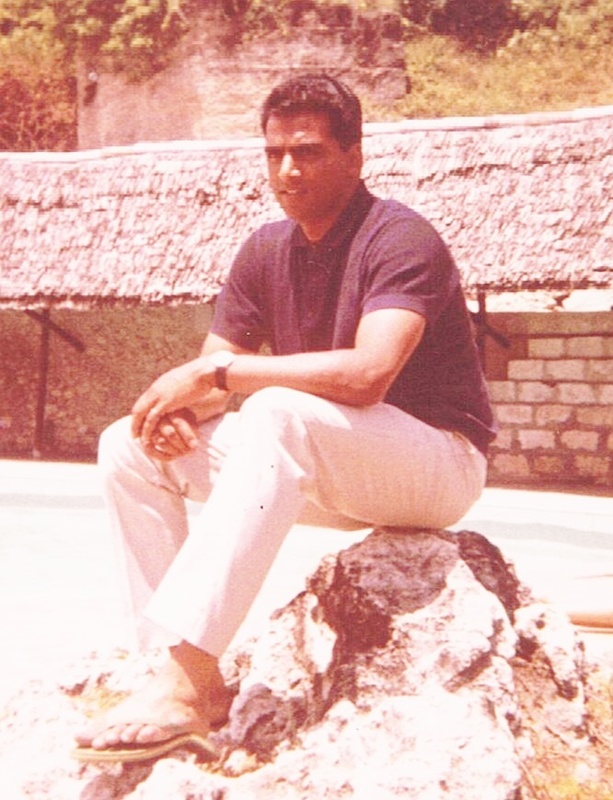 He adopted these to Kenyan conditions, much to the delight of students and parents alike … something that is often difficult to achieve universally. 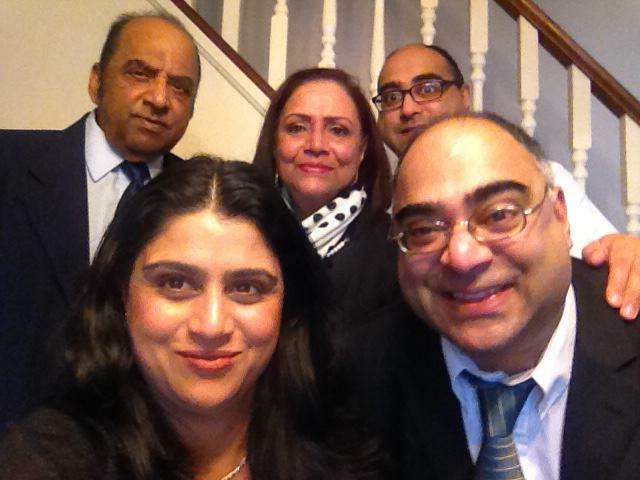 When they moved to the UK, he was even more invigorated and really enjoyed it all. Steve honed his teaching skills at the Nairobi Teacher Training College in Ngara, Nairobi. 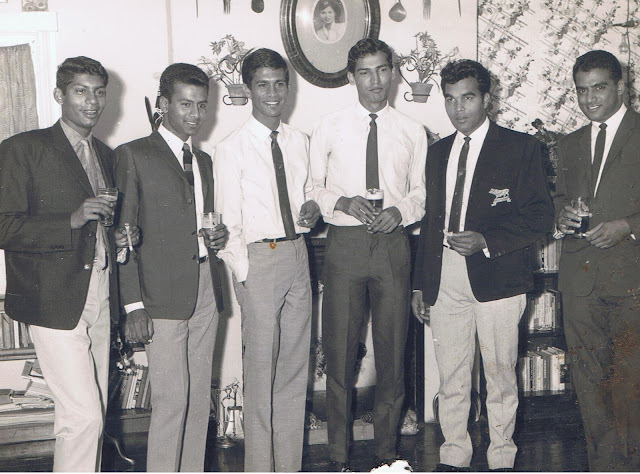 Most Goan boys went to this college to graduate as primary school teachers. He was, of course, a living patron saint … no, no, no … a high priest of a bunch of guys, most of them teachers who went by the panhandle of The Jokers. Just a bunch of singles who loved fun, music, song, dance, the movies, hockey, the clubs, Tropicana restaurant in Nairobi on Saturday morning, picnics, visits to the Kenyan coastal town of Malindi for all-night rave parties, camping trips actually… they included Gilbert Fernandes (Toronto), the late Tony “Fats” Pereira, Tony Reg D’Souza (Sydney), Rudolph Fernandes (Toronto), the late Tony “Coco” Cardozo, Pio Almeida (Brazil), Yours Truly, Ben and Julie, Albert D’Souza and lots of other guys. Even though I am biased on this score … their dimly-lit parties were the events you did not want to miss because they were usually the talk of the town the next Monday. Growing up with these guys (actually, for the life of me, I cannot remember how I came to join these guys) was really quite blissful. 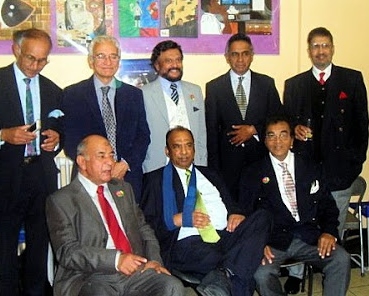 It was an era when if you did not have any money, it really did not matter because one of your good mates would look after you. 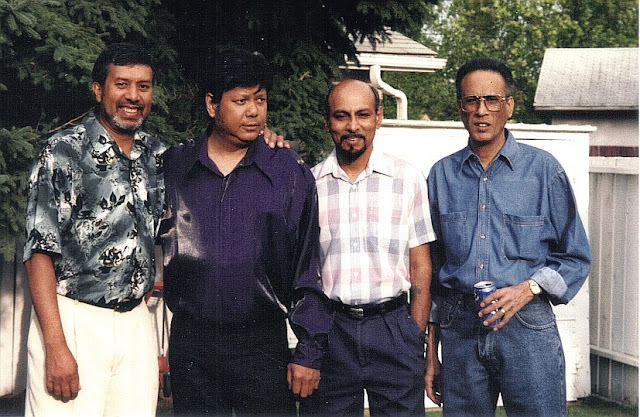 My best friends for life were Steve and Gilbert Fernandes. 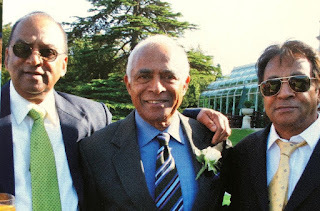 The past few years, the three of us spoke to each other regularly … I visited the UK and Canada a couple of times. WhatsApp and the pretty good telephone deals meant that I connect with them quite regularly. In fact, I was speaking to him the day he was involved in a motor car accident. 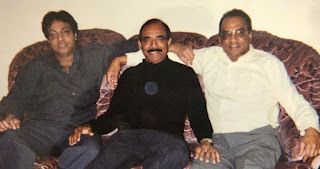 He sounded a bit down and seemed to lack in energy but he kept his chin up and said everything was all right … three days later I called him again … this time he told me “Skip, when I spoke to you the other day, I was involved in a car accident. 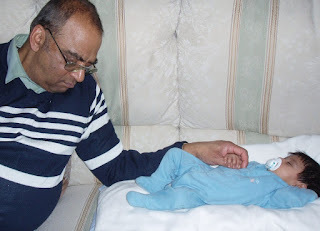 I am OK but the airbag burst and it had wound me.” A few days later, he was in hospital. 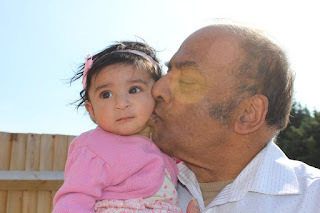 He called me from his sick bed and we chatted, and joked, quite confident that he would be home soon. Many weeks passed, many operations passed, he wanted to speak to me but the time clocks were not aligned. We never spoke again, he never recovered. Steve and I were dating our respective girl-friends at around the same time. Both Marjorie and Rufina used to come and visit Steve when he was pretty badly off after a motor car accident. I was staying with him at the time. Marjorie nursed him through his nightmare. From that moment on their love was forever. He used to enjoy showing off his “beauty queen” bride. When we used to speak late into the night, Sydney time, he used to give me a running commentary on his grandchildren. Like most granddads, he was absolutely blown away by them … each of them was very special to him. He would pretend to grumble, but he used to love babysitting and, of course, playing silly games and pranks. Jennifer and Paul’s children, Dylan, his eldest grandchild who he had many fun adventures with and Nikita who Steve called “the Boss”. 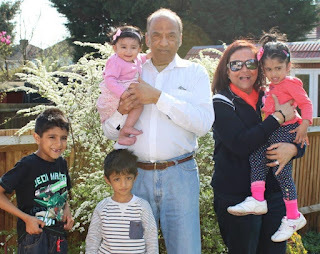 Steve also adored Cliff and Meera’s children - Aaron and Leah who loved singing ‘the naughty little flea’ song with him. He just worshipped them, just as much as he loved his own children, Melvyn his eldest son and rock, Jennifer his beloved daughter and Clifford his cheeky youngest son. He will be missed by his brothers Thomas (Nairobi, Kenya) Sylvester (Silu) Toronto, Raul (UK) and by their wives, his cousins, his nephews and nieces, and all his friends around the world. Steve was predeceased by his younger brother Leslie. With his passing, the world will be the poorer for the fun and laughter, that endearing smile, the teasing eyes as if he was up to something … but most of all because he was your friend, her husband, their father, their grandad … and always the teacher who simply loved life … and a bet. PS: from Tony Reg D'Souza: Just seems like yesterday, Rudi, Steve and I were at Maganlals (the tailoring outfit in old Government Road, inexpensive) choosing materials for our suits for Christmas. (In those days it was not only the girls who wore some new and special for Christmas). All the same material and colour. In hindsight, we must have looked like the Three Stooges walking in these suites from Eastleigh to South C (quite a few miles) to visit the Lobos (Rudi's eventual wife, Hazel). That was the bond that started us off. We slowly became the social animals that became The Jokers. The folks in Heaven better watch out … here comes The Joker. Somebody get Elvis Presley quick, tell him one of his biggest fans has come to stay. 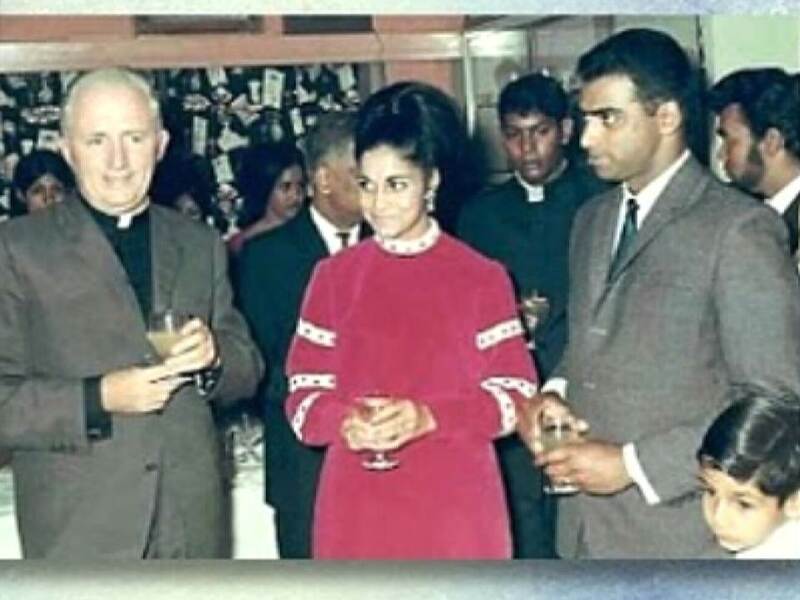 With Father Comerford, former Principal of Dr Ribeiro Goan School who inspired Steve who joined other fellow students in a successful revolt to reinstate Fr Comerford who had been moved by the school board. I am in shock and I don't know when I will be myself again. 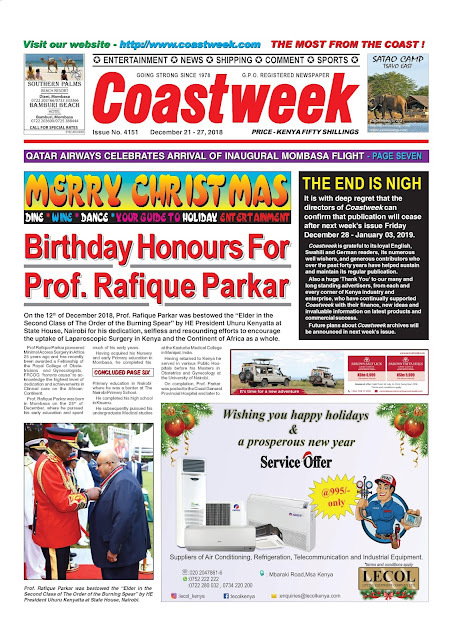 I have just been informed that one of my favourite newspapers, at least its printed version, Mombasa's CoastWeek will cease publication after the final edition next Friday. It may be possible to be born again as an online publication. It never is the same. It has been a pleasure writing for the paper for several decades. Its editor Adrian Grimwood and I began our careers at the Nation in Nairobi. He joined a few years after me and showed that he always enjoyed visiting the Kenyan coast. I think he spent a little time posted there as a reporter and it was not long after that he became the editor. 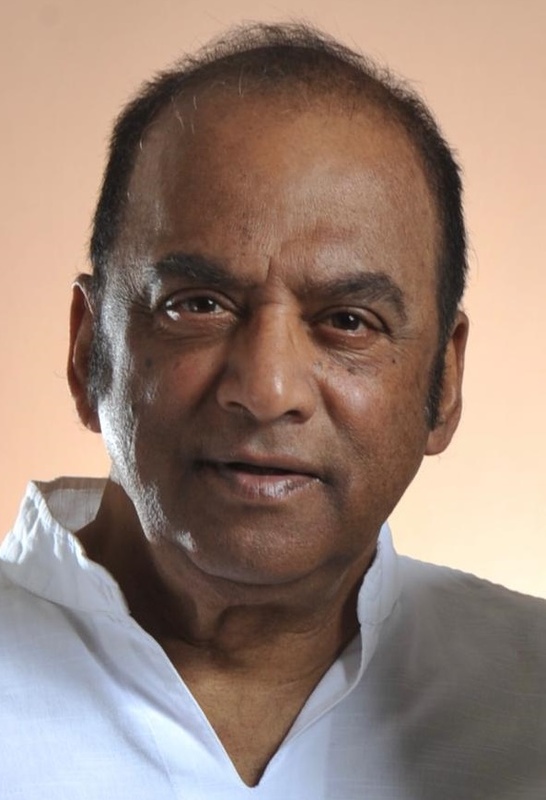 Throughout the past several decades, he nurtured both the publication and the teams he has led with honour and dignity. Throughout his life, Adrian has been a star performer. He married Ulla, who just as delightful a person and a journalist as her husband. Together they make a truly formidable team. Together they gave their all for the Coastweek. Both are very old school in terms of integrity, honesty, utter respect of the truth, intolerable of rumour or innuendo or gossip or the unsubstantiated story. It has always been a case of the truth and nothing but the truth. Adrian has always been blessed with a fun sense of humour, a love of the coastal outdoors, Kenya's wildlife in all its aspects, the people and the history of Kenya 's history, its sport icons, its business leaders and all the other beautiful things that are to found on this stunning coastline. 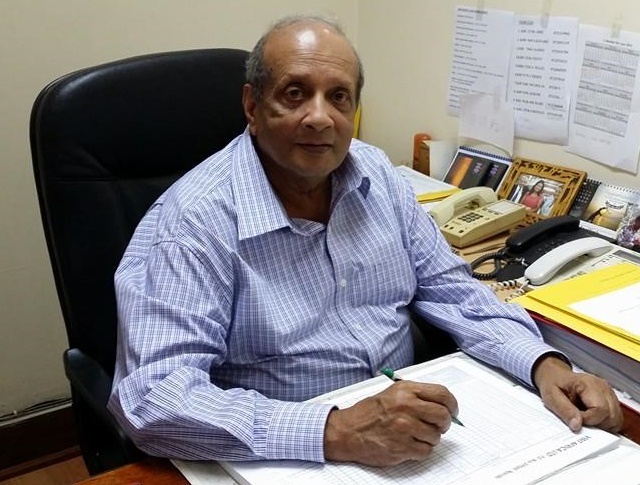 With the other members of the team, they have built a newspaper, a success to the Mombasa Times, a product of Kenya's coast era, that his readers have always been proud of. 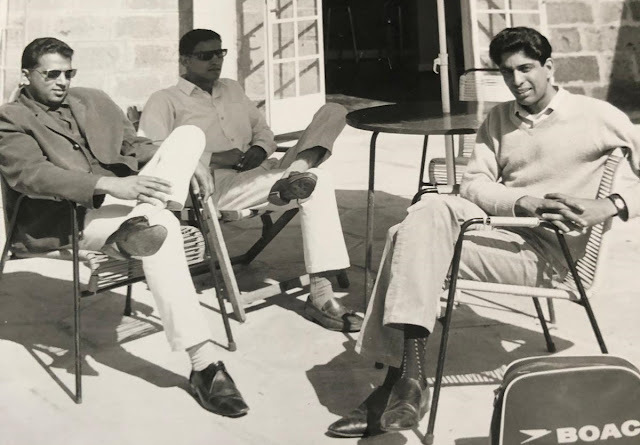 If the late Franklin Pereira was alive today, he would have probably tried to buy it and allowed Adrian and Ulla and the team to continue as business as usual. The Coastweek will be buried with the human parts of thousands of past readers who stories and photographs it published: their successes, their failures, their births, their deaths ... all of the human endeavours which collectively is a cyclopedia, or several copies, of the Coast. In a way in its death, much of the coast will die with it. My heart is filled with sadness. The grieving process begins next Friday. Coming to terms will take a long, long time. Many thanks to all my friends who made the Coastweek possible. Never forget you. Early last year Cyprian Fernandes (Skip) was in contact as he was doing true life stories for his blog and book on bands and musicians from East Africa, and wanted a story on The Shiftars, the 1960's band from Mombasa. Unfortunately, I could not do it in time for publication. But here it is for those interested. Everyone who remembers The Shiftars ask me if they would reunite again...I doubt it though hope they will one day! Their interests are so diverse now besides living far apart, it might prove to be a mammoth task! 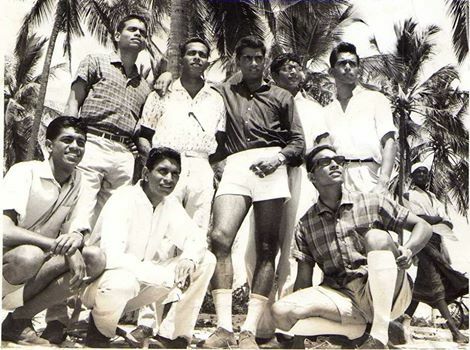 Besides Benny is a firm believer that, despite having music in one's genes/ blood, it is the diligence of practise, that ensures - “the fit of all players in a band should be tight and in sync” – compatibility, when producing music and sounds, like those that made them famous in their youth in Mombasa, as without that, the music will just not sound right. 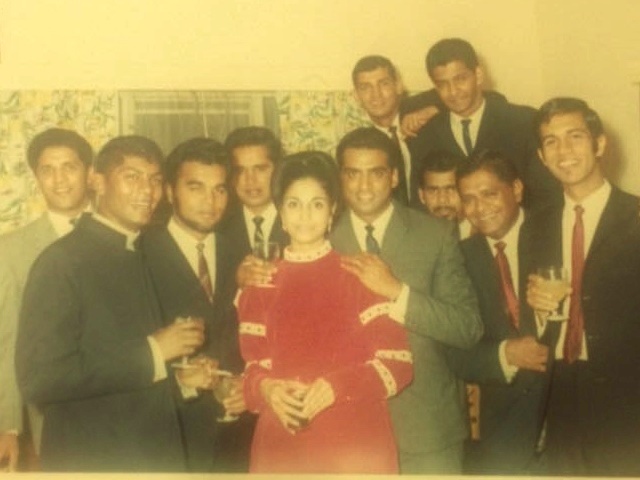 A personal photo book was gifted to the band boys when they turned around 65! A kind of “Thank you” for the memories … which was also shared with a few close friends! This was to give some pleasure in rekindling thoughts and memories of their music as well as the pleasant times of our youth, the wonderful days of being teenagers dancing to the music of The Shiftars! Some of this material is adapted here as well as from an article I wrote for The Goan/Sacred Heart School’s 75th Anniversary Souvenir Brochure in 2007 since all the boys were educated there. 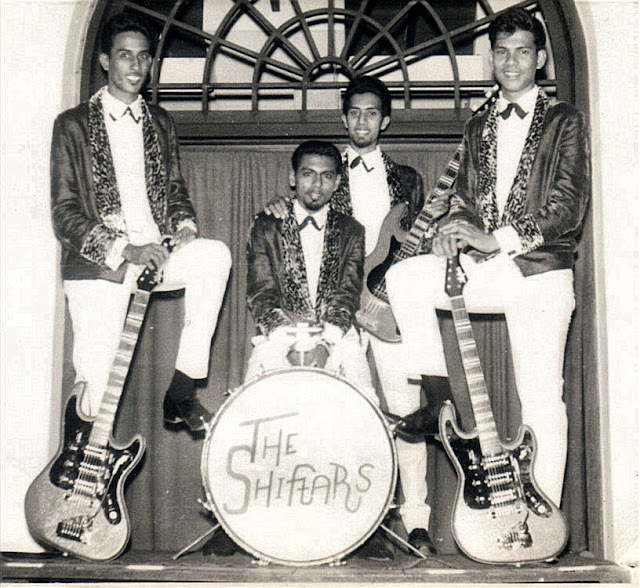 The Shiftars group was formed sometime circa early 1964 by Benny Mascarenhas (lead guitar), along with Dominic Noronha (rhythm guitar), Polly (Pauly) Dias (bass guitar) and Rudi Lopes (drums), who were from the Class of ’65 with their Manager Victor De Souza, being from Class of ‘64 of The Goan/Sacred Heart School in Mombasa. 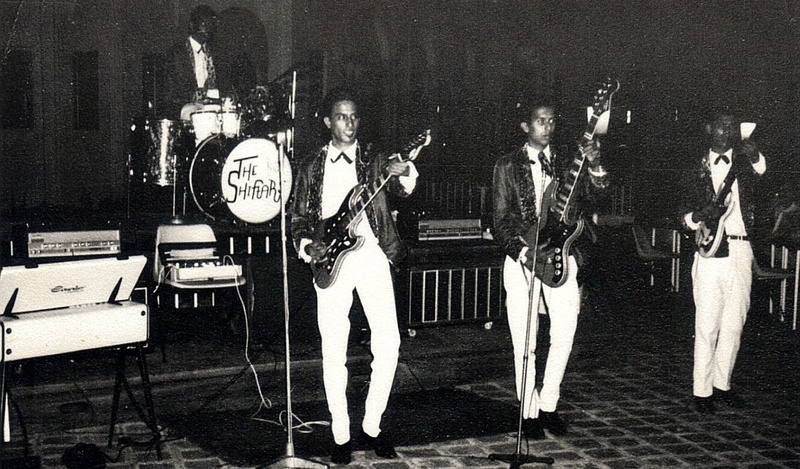 Their interest in music started early, influenced with the advent of electric guitars and the new sounds/ beats of Cliff Richard and The Shadows, who had taken the world by storm and created a new Kenyan generation when they visited Nairobi on their tour to South Africa. The aptly named film and song “The Young Ones” was just what the young ones growing up in the early 60’s needed, to infuse their youth!! Benny at the age of 12, always had an interest in music, and whilst his father Joaquim played the violin, and his older brothers Lambert (violin), Leslie (trumpet) & Philip (trumpet) were musically minded, he preferred the guitar. So to encourage his interest, his parents bought him a simple acoustic guitar from a store in Makupa. Later, influenced by Hank Marvin and The Shadows No. 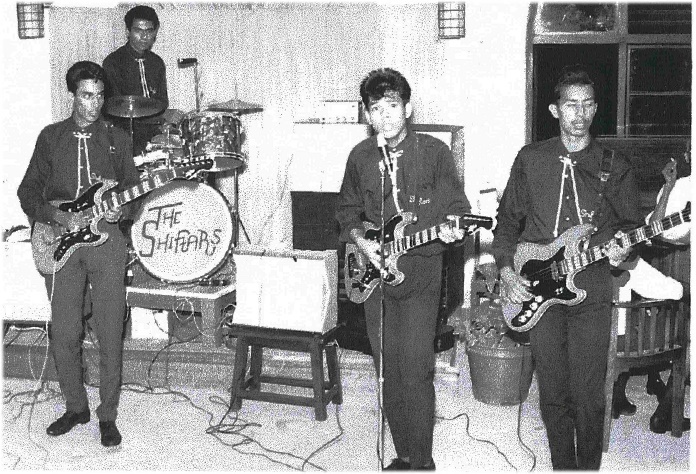 1 hit “Apache”, he and his friend Basil D’souza built themselves a guitar in the shape of Hank’s “Fender Stratocaster” and for “electrification”, pinched the mouth-peace from a local public telephone booth. Benny twanged his way practising different technics and sounds, and by the age of 15, was recruited to play with a band named Conny Kit & The Pirates. Encouraged by his dedication, his Mum, Maggie, bought him his first pukka electric guitar “Elite”. The band consisted of Conny Telles, Joey Costa Correia, Benny, and Lamartin D'Souza. When the band was offered a contract in Italy, Benny was not able go with them as he needed to complete his schooling education and so gave his silver band jacket to Leslie Peters (cousin of Joey Peters of The Bandits) who was then additionally recruited to the group. 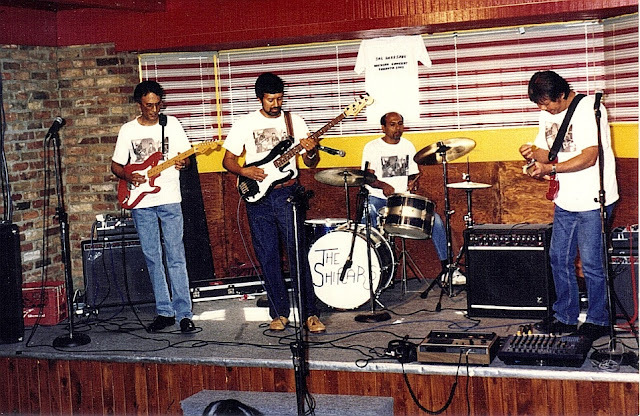 In Italy, the band renamed themselves The Bushmen but disbanded a few years later. 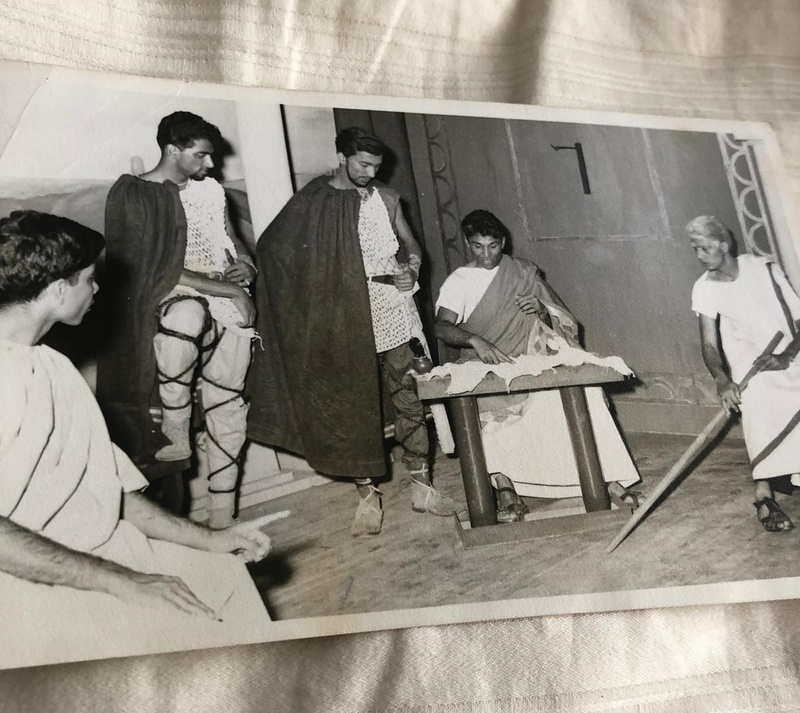 So, as he was not able to go to Italy, Benny then decided to form his own band with his classmates who were as keen as he was to emulate the sound of The Shadows and Cliff, especially after their visit to Kenya, thus the formation of The Shiftars. 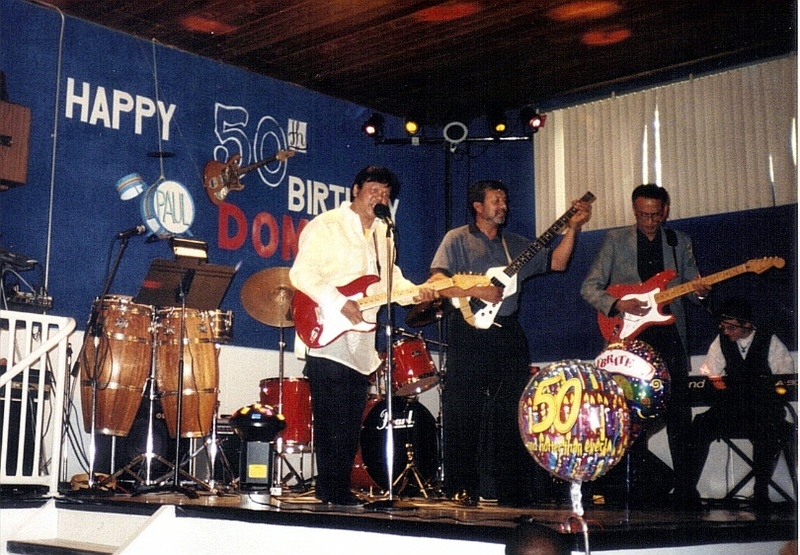 Dominic on rhythm, had the voice and looks of the young Cliff Richard and Benny, influenced by Hank Marvin, had the similar twang of the Fender Stratocaster which brought the band’s unique sound to our very own doorstep in Mombasa along with Rudi on drums and Polly on bass. 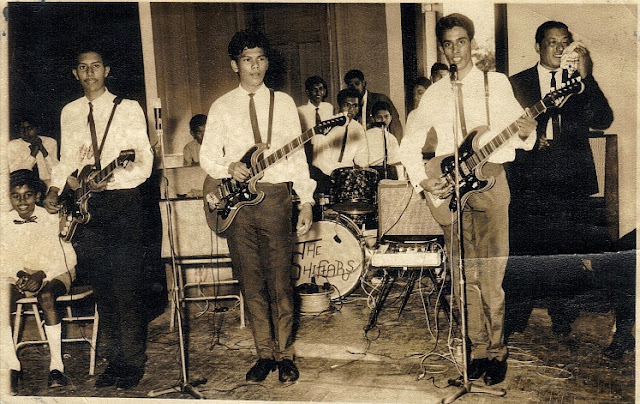 They practised regularly in the garage at “Gupta Villa” (Dom & Rudi’s abode in Ganjoni), and as their repertoire progressed, they would occasionally play at venues including the Rex Hotel. In time Roger, the manager of Tudor House Hotel got to hear of them and offered them a booking to play every Saturday night at Tudor House Hotel. Saturday night in Mombasa was never the same thereafter, as most teenagers made it their venue to Shadoogie and Shindig their way through the night! How they came about the name is a bit of a story in itself. 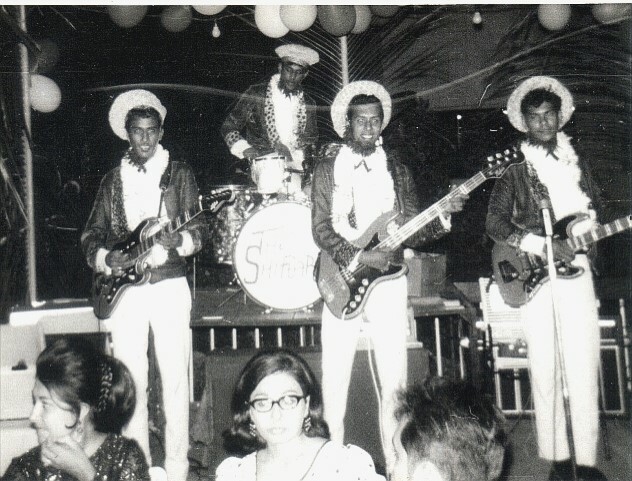 As the bands at that time took rebel sounding names like The Pirates, The Bandits etc, these lads took the name of the then Somali raiders into northern Kenya who were known as “Shiftas” – but when the lads played at the Diamond Jubilee Hall for the political KANU Party’s annual ball, their celebrity guest Tom Mboya, a leading Kenya Cabinet Minister, came up to the stage to thank them for their enjoyable music and told them that he was not happy with their name!!. So, to avoid any conflict, Benny decided on adding the “R” to the band’s name. Thus renamed “THE SHIFTARS”, was born and continued playing!! much to the chagrin and dismay of the boys’ parents and school board – as it was apparently affecting their studies, especially as their Senior Cambridge (O Levels) graduation exams were looming up that year, 1965. Needless to say, despite many protests from their parents and the school board, the boys still carried on playing and thankfully passed the exams too! They continued playing at Tudor every Saturday, and on reflection years later, meeting up with members of Safari Sound Band, it was gratifying to know that from hearing The Shiftars and seeing them play at Tudor, albeit through a window on the side, was what inspired them at their young age to as well take up music and were helped and tutored by a Goan teacher. 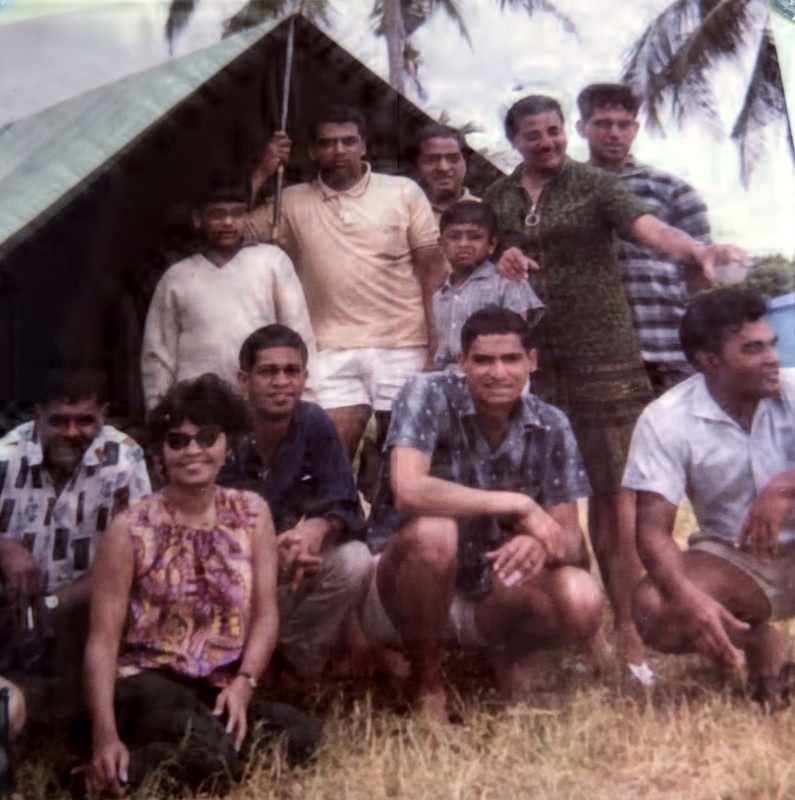 In gratitude they invited Benny and me to hear them play at Whitesands Hotel on our visit in 1994, when they unexpectedly performed their rendition of The Shadows numbers on the beach! 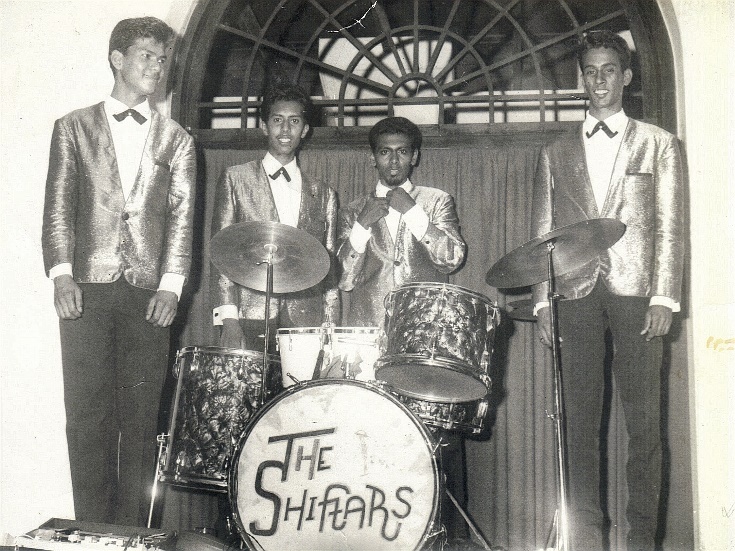 The Shiftars were often popularly booked for various private Goan functions and weddings at the GI club, the Goan Tailors Society, as well as, the Diamond Jubilee Hall for various multi-racial weddings and functions encompassing some of their Swahili and ethnic music too. The band’s performances at the local Annual Makadara Fete for the Idd/Eid festival as well, generated a large fan base among the young Arab/Muslim girls and boys who could not afford attending the hotel venues they played at. 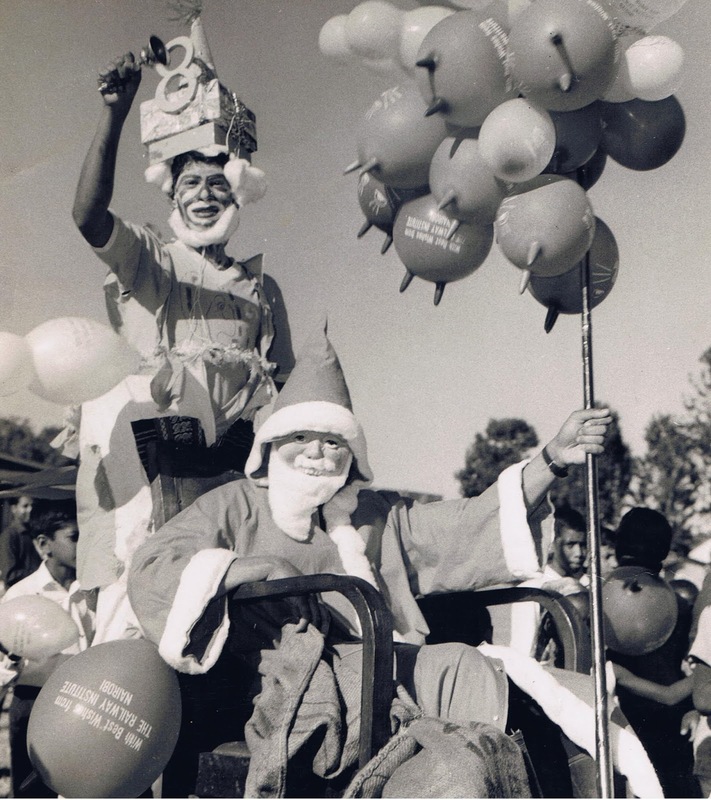 Their one regret to this day, is not having had the facility at the time, to record some of their numbers like the Christmas Carols that were done in unique arrangements and the contemporary music they twanged without orchestration. Their popularity kept them very much in demand, and with the remuneration earned, plus help from the family, they then purchased new amplification from London, and guitars from Germany, which made the fiesta red Hofner electric guitars their signature look alongside the new 30 Watts WEM amplifiers that extended their tone and sound. Also, when a visiting English naval ship’s band in need of quick dosh sold them their Watkins Copycat echo unit, it further enhanced their unique sound of The Shadows, and completed their act. In later years, it was wonderful for Benny and me to meet the real Mr. Watkins and be invited to his home studio in London, where he had designed the Copycat echo units and WEM amplifiers. 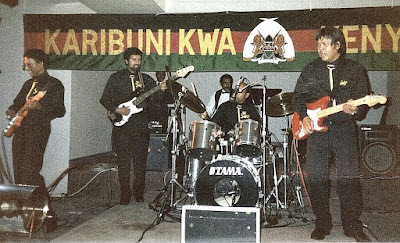 From our conversation with him, we were surprised that he clearly recalled the first order that he had from Assanands Music Store in Mombasa, which was for his WEM amplifiers, and how that initial order subsequently opened the market for him in Kenya. 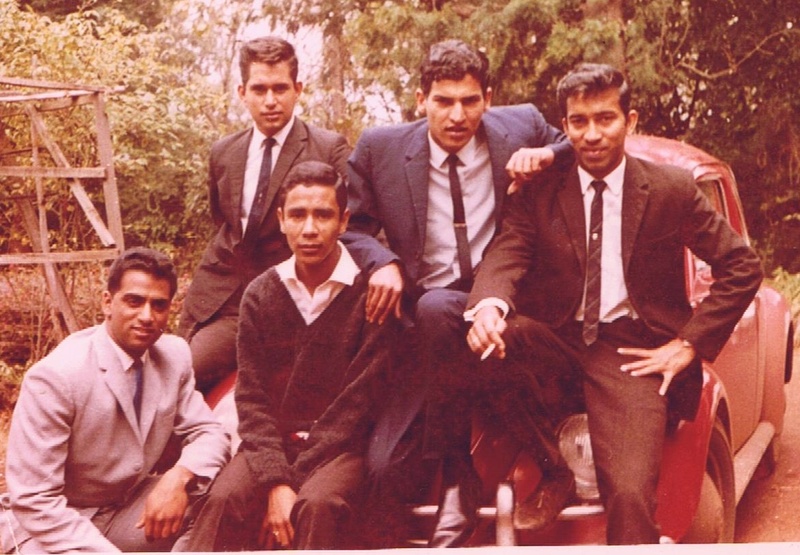 In 1966, the band entered the Teen Beat Contest in Nairobi and came third but it was an experience for these young lads as they had to compose their own music and travel all the way to Nairobi on a shoestring budget to compete only to find that the bands that beat them, played copyright hit numbers from the UK charts – though deflated, it gave them a resolve to better themselves with enthusiasm nevertheless! 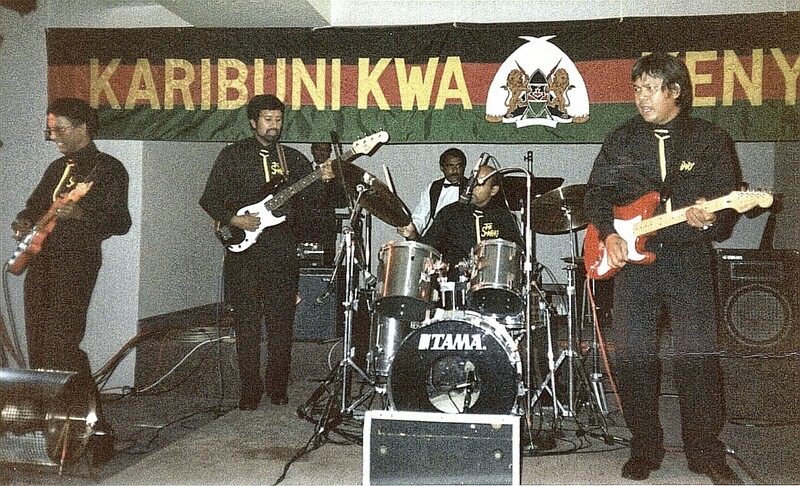 The following day they played at the RGI hop, thus creating a Nairobi fan base who would always make it a point to come to say hello and hear them play when in Mombasa. 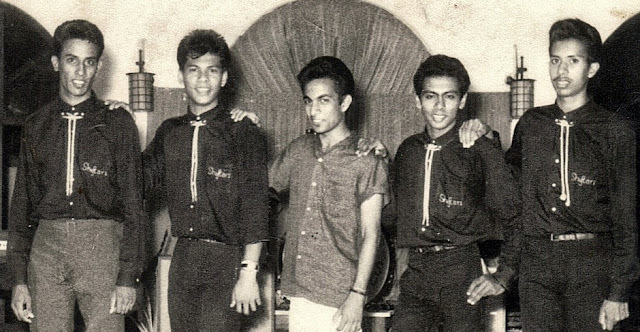 From then on, their music went from strength to strength as they incorporated contemporary dance music and other chart hits to their repertoire thus creating a good modern dance band that were the envy of other bands by substituting different rhythms and guitar sounds in replacement of orchestration, thus creating a totally new sound and dimension. 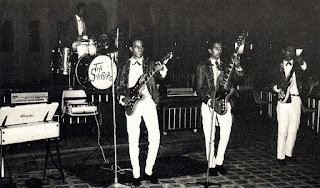 Though they continued Saturday Nights at Tudor House Hotel it was, late ‘66, at The Carlton Hotel, where they occasionally played that they were heard by Sean McCrindle, Manager of the elite 5 star Nyali Beach Hotel that primarily had only foreign tourist and the rich stay there. 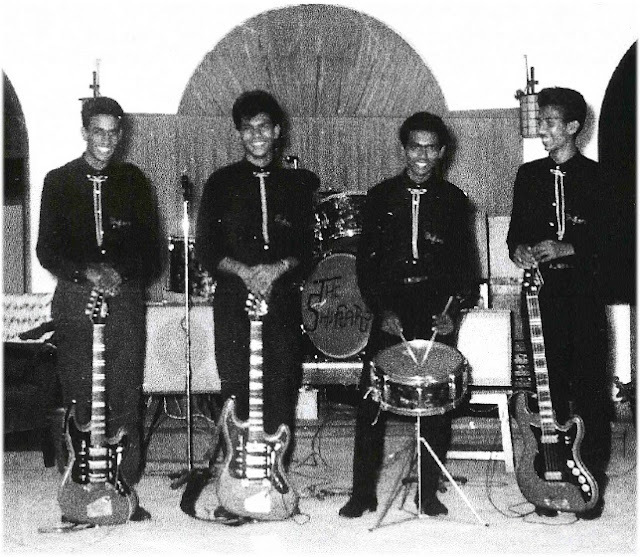 He offered them a lucrative resident contract to play every Wednesday and Saturday night including, the Festive Seasons which drew in the Mombasa crowds making the band ever more popular as “Saturday Nights at Nyali”, became the hot spot for the majority of the local community as the band’s ever changing repertoire moved on to include a wide tempo range of instrumental dance music that had never before been performed on the electric guitar, as well as group vocals covering pop numbers including the Beatles early hits. 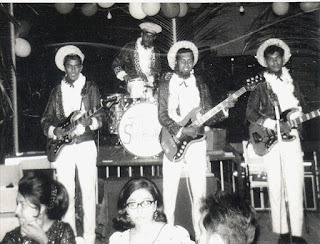 For the Nyali Beach Hotel Brochure, the band had an additional uniform to encompass a touch of the Kenyan wildlife with red velvet jackets trimmed in fake leopard fur (red to match the guitars) ahem. They also procured an organ and a melodica, which Benny played in between twanging the guitar! Thus increasing their range of music and variations to the popular hits of the time. Sadly none of the music they produced was recorded except once in a flat, with a basic tape recorder, as recording studios etc. were few and expensive. This was done when they were offered a chance to go to Germany and play the clubs, but thankfully declined due to parental pressure and not knowing what going to Europe could entail. 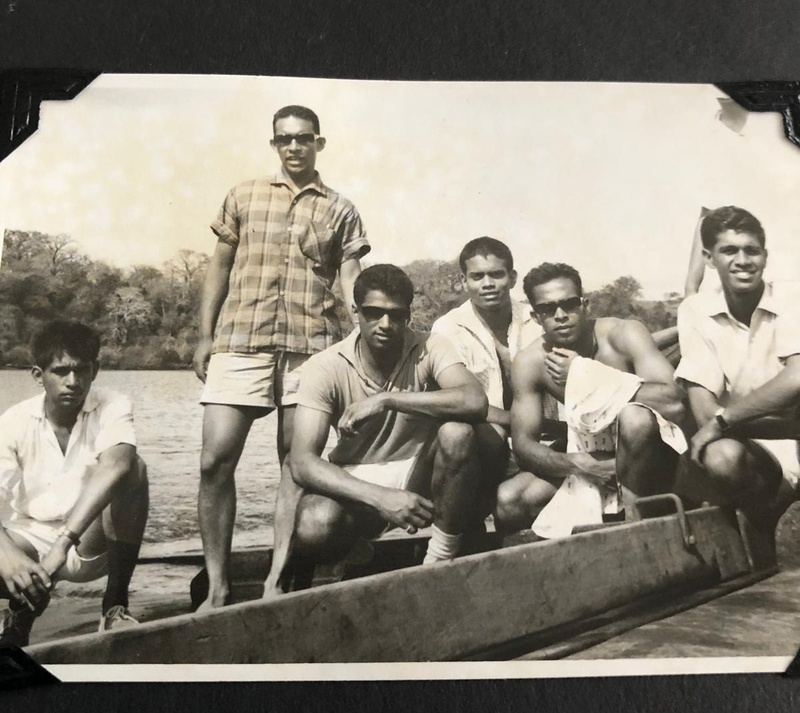 At the time being 19 years of age, they continued with their obligations at Nyali Beach Hotel as well as fitted in bookings for other occasions, whilst also working in their daytime career employment too. With the political climate in Kenya changing and employment/career development hard to come by, 1968 changed the band members with Rudi, drummer, leaving for the UK and replaced by Jojo (Benny’s younger brother who had previously played the guitar in a band called The Wee). Though still very popular and in great demand, it was future prospects that were insecure and so in 1970, Benny and Jojo left for the UK and Polly and Dominic then emigrated to Canada. This meant that 3 members of The Shiftars were now in Canada and Benny in the UK! And so it was inevitable that a reunion was in the offing – albeit an informal one in 1979 when we both visited Toronto and were joined by Polly (Theodora) from Nova Scotia and Dominic (Diane) from Edmonton. It was fab being together again, and whilst jamming in the basement for old time sake, the boys realised that they had not forgotten their music though some "brushing up" was needed ... a phrase that was often used in humour and laughter, but the friendship was still very close and tight. It was to be another 12 years before they could reunite again...purely due to work and career commitments. 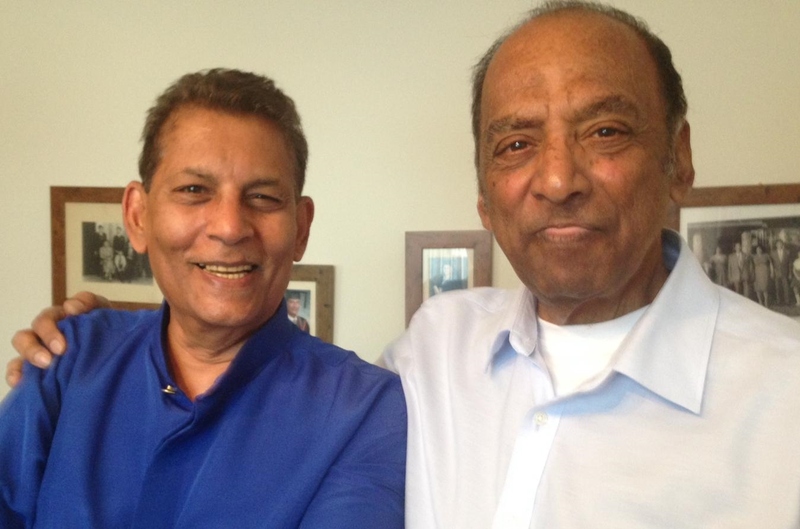 21 years since their Mombasa days – the band reunited for a short public performance at “Karibuni Kwa Kenya Nite” in September 1991, held in Toronto, which was organised by the Goan Community (GOA) where, to a rapturous welcome, the boys played for just over an hour to ovations which brought many happy memories and tears to the ex Mombasa and Nairobi folks. They were in fact only scheduled for a 30 minute slot, but the demands for more had them playing longer! Truly a memorable night. (Note their 1964 signature uniform of all black with the yellow string bow ties was recreated again for this performance). 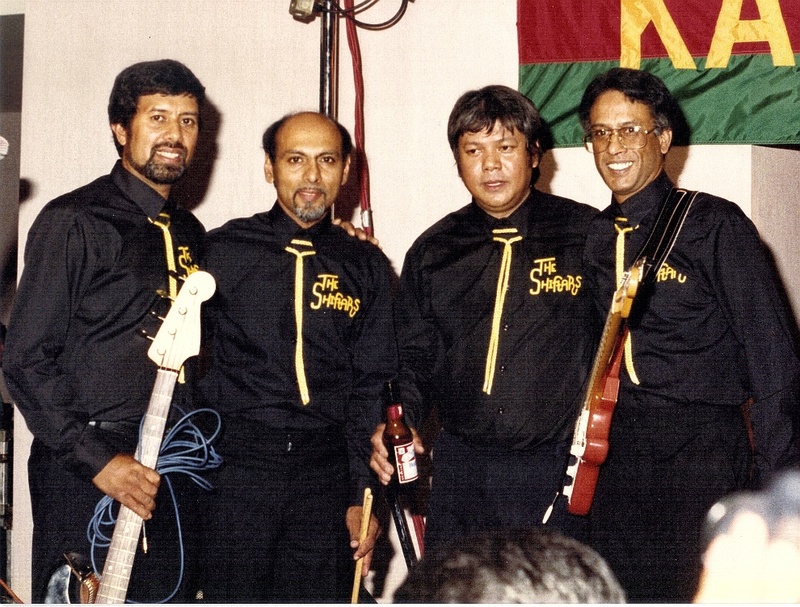 The next day, they played at The Nags Head, a local pub for friends and family who wanted to spend time with them and reminisce the good ole days as well as joined on stage by the Remedios brothers from Mombasa. 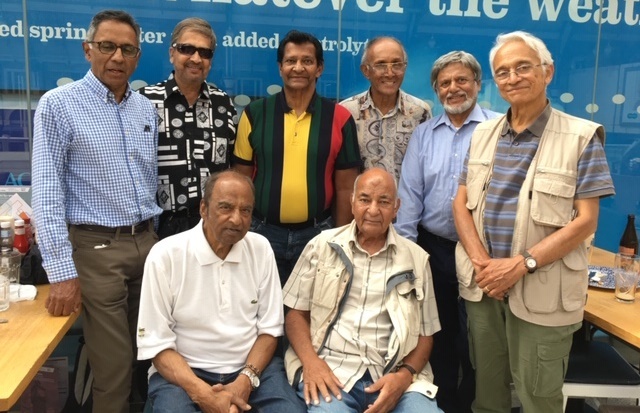 The special T-shirts worn with The Shiftars photo was gifted to them by Henry Vaz, a staunch supporter, who also arranged the pub reunion of Mombasa friends. Then in 1998, when the lads turned 50, they decided that the best way to celebrate was to get together for yet another reunion and this time it was held in Edmonton, Canada in June 1998, as Dominic decided to celebrate this milestone birthday, and brought the boys yet again in touch with their guitars & drums!. It was indeed a wonderful reunion. This last reunion session finished with the song “Vision” sung by Dom. 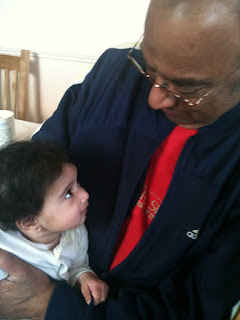 It still resonates of when will we meet again...!! At present, Rudi (Ninette) and Polly (Theodora) are in Toronto, and Dominic (Lourdes) is in Edmonton, Canada. Maybe one day, health and time permitting, the boys will get together for old time sake and have a reunion of sorts with the music and camaraderie they shared which kept them close and young!!... well, I try to egg my dear hubby Benny (here in London, UK) to start twanging again! Lest he loses the touch of his first love! Ahem! There are times, when we play the tracks that were later recorded at their reunions, and I close my eyes, I drift back to time when the cool breeze of Nyali Beach Hotel and Mombasa wafted over me, the stars in the sky sparkled, together with the moon doing it's bit and I enjoy reminiscing to their unique sounds of that era and the man I fell in love with and married!....though it is 46 years later!! And in now putting their story for all to read, it will also enable our friends to drift back in time and reminisce as well as share the era of the band. With the help of friends, I was able to collate a few of the old photographs (some not digital enhanced!) so hope you enjoy reading and going back in time to what was our Yesterday in Paradise! Ahem! In closing, the family of all 4 Shiftars wish you and your families reading this, a Very Merry Christmas and A Happy New year!